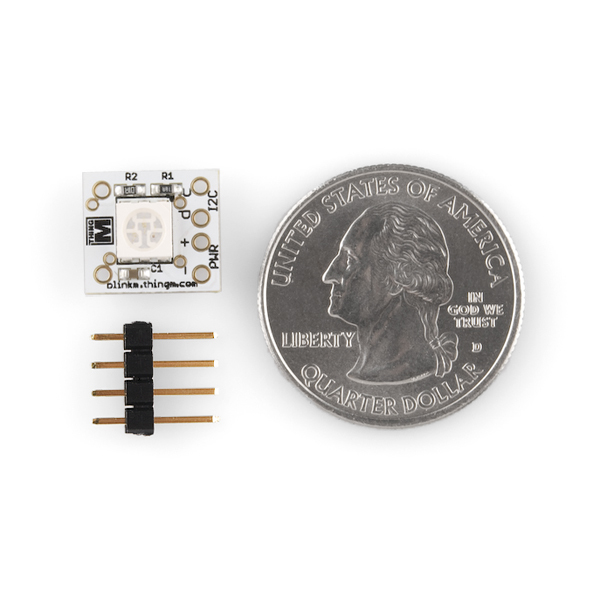 MinM is a tiny smart LED that is designed for wearable, handheld and lighting devices. Like BlinkM, its larger sibling, MinM runs the same unique firmware that creates virtually any RGB color, fades smoothly between two colors, and blinks in virtually any pattern. It can glow like a firefly or flicker like an antique indicator bulb. 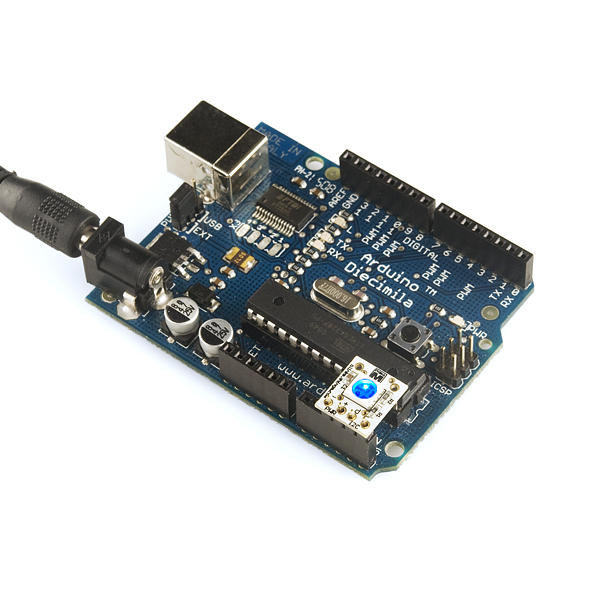 It's a smart LED that lets you do all of that without having to know any electronics engineering or programming languages. BlinkM Sequencer -our free Open Source sequencing software runs on most operating systems -makes it easy to select any RGB color or pattern and instantly upload it to BlinkM MinM. Can someone recommend a way to put this together with a battery and a toggle switch in the smallest possible package? 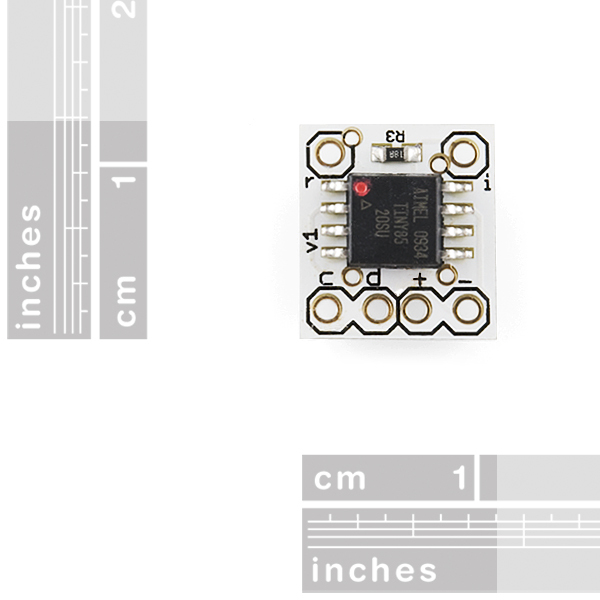 Ideally, it would be use something smaller than CR3032 (the battery is nearly 3x the size of the board). This part: COM-10866 seems to be the same pinout, except the Red and Green LED positions are interchanged. Unfortunately, we do not currently have that information. Is it just me or are the PTHs not quite on 0.1" centers? I suppose that could be by design, so that there's some friction to keep the header in place while soldering. If so, that's a super clever idea! Yep, they are offset spaced a bit so they kinda hold the header for soldering. We do that in a lot of our production builds as well. I think we have a tutorial about it somewhere. anyone have a video of these in use? It retains it. Check out the quickstart guide. mine came in today, these are great! Zach, the component and manufacturing cost of a standard BlinkM and a BlinkM MinM are about the same, so the retail price is about the same. 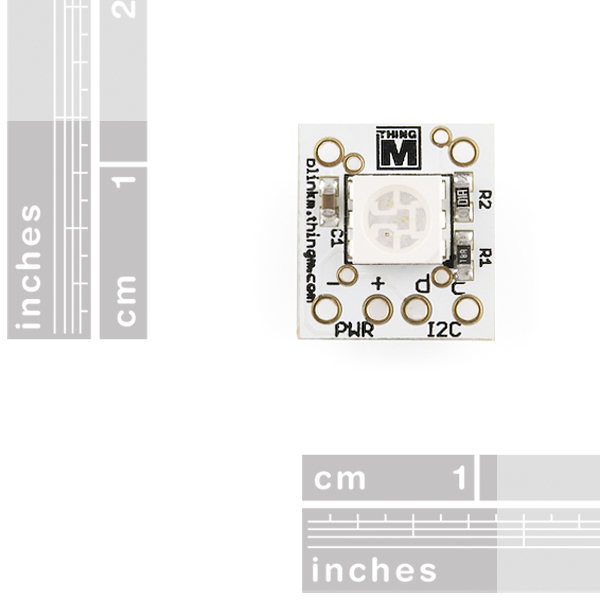 More specifically: the small surface mount LED on the MinM is a more expensive part than the corresponding LED on a standard BlinkM, and that price difference counteracts the savings in making a smaller device. Still, $13 for only $2-3 in components? Although you are paying royalties on at least two patents. I'm going to second this. 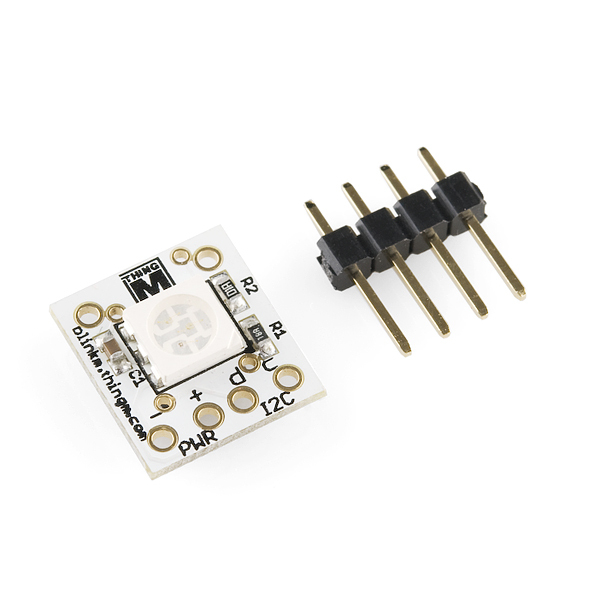 Why can't we have something like this in an I2C type? http://www.sparkfun.com/commerce/product_info.php?products_id=10075 It's even 2,000 mcd brighter and less than half the price here. I do understand it's a dedicated IC/cheaper but surely a microprocessor and 3 transistors can do a good job if not better. only really lacking feature would be current control, but PWM would suffice if it halves the price.. The real fun of these is getting lots and making cascading effects/sequences, but hitting the $100's less than 10 units into that is a killjoy. Why is this smaller than the middle range model and still the same price.